Here is a trio of images for some beach scrapbooking fun. I call this the red, white and blue series. 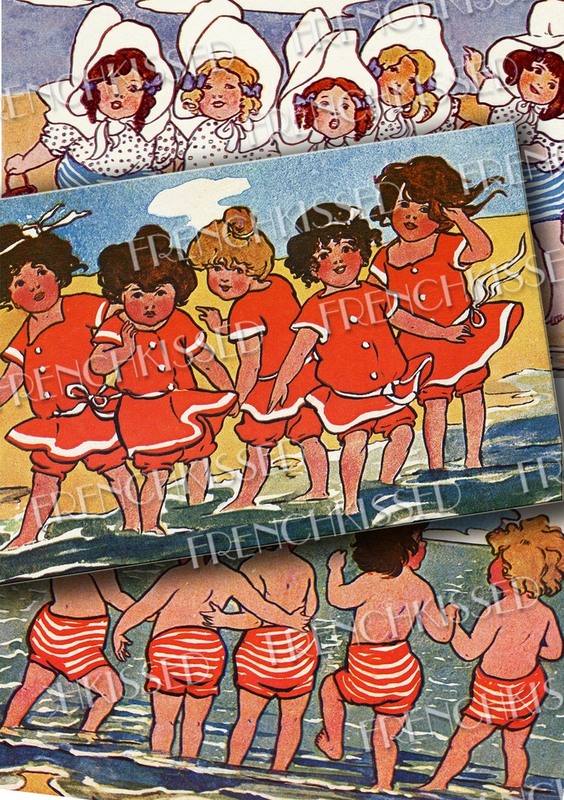 These darling illustrations were used on advertising postcards for a French coffee company, Moka Leroux. 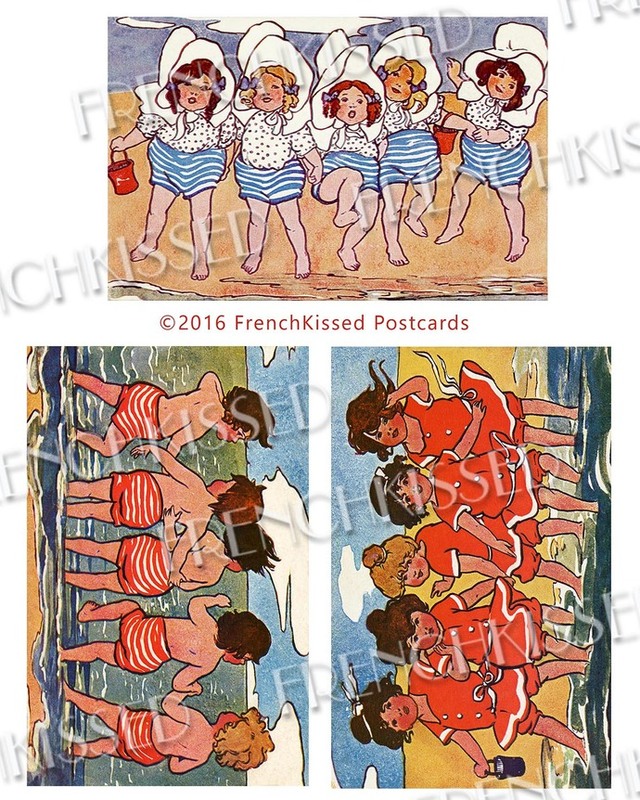 Two of my original postcards are blank, but the one of the little girls in the striped blue bottoms was postmarked 1907. Verso, it's titled "Deja Coquettes!" (Already Flirts!) Each image is 5.5 inches wide and about 3.5 inches tall. Maybe turn these into beach party invitations?! Embedded copyright. These scans are for PERSONAL use only. Use them to make art for yourself or family and friends, use in art swaps and contests. You'll receive an email for Photo No.2, 8x10 inch page with 3 postcard scans, with a link to the download. It's easy peasy!